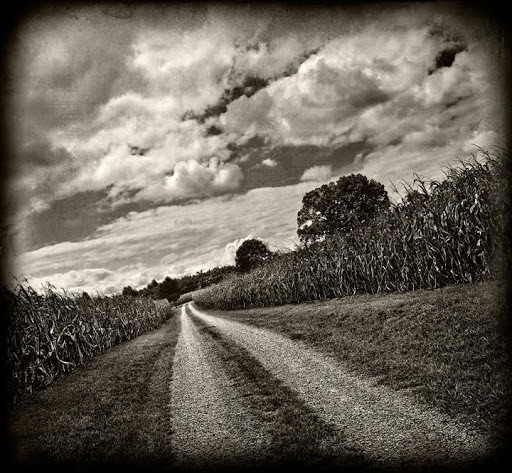 A long driveway runs between fields of corn near Liberty, North Carolina. The image is sort of ironic. This particular location was used several years ago in the filming of the movie “Children of the Corn, II”.